Are you looking for a internationally accredited life coach training? Have you got a passion or calling to help others? Are you looking for a career that is financially and emotionally rewarding? Do you want to create positive change in the life of the people you work with? Are you searching for a course that is going to give you the tools and empowerment to become the best coach you can be? You are going to learn how to coach using various methodologies. You will understand how each client sees the world from a different perspective. 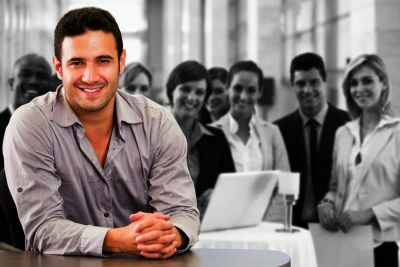 The skills you will learn during this training will empower you to coach in various niches. Whether you want to do life coaching, executive coaching, coach in a organization or any other field. You will learn how to create massive positive change in your life and those of the people you work with. The life coaching courses are based on the ICF core competencies, but goes even further and deeper than that. You will acquire certification that will afford you the ability to coach anywhere in the world. You will learn how to inspire others to live their passion, whilst you do the same. You will learn how to let go of limiting beliefs, self-doubt, negative emotions and all the things that have held you back in the past. Become an certified life coach. Coaching is often described as helping somebody to get from where they are to where they want to be. However coaching is actually so much more than that. You also assist your client in becoming clear about their values, beliefs, attitudes, strengths, areas of improvement and so much more. Diving much deeper than simply working towards a goal or outcome. Many life coach courses teach how to do transactional coaching. Our life coaching courses will teach you how to do transformational coaching. Assisting you and your client to grow and transform in the process. Experience the best life coaching courses. Coaching has been embraced all around the world. It is quite normal to work with a life coach, business coach, executive coach or some other coach to help you get results. Becoming a life coach is both financially and emotionally rewarding. Meaning that you can make a decent living from life coaching and feel great in knowing you are helping other people to achieve their desired successes. For you to be best able to help your clients, you need to do the right life coach training. It is very important that you learn appropriate skills that you will need in your life coaching career. This life coaching course will prepare you for the many diverse clients you will work with. Here are some points to consider when deciding on the best life coaching academy. Learn how to work with a very diverse range of clients. People are individuals and it is important to be able to work with each clients model of the world. As a great coach you will be able to be flexible and in the moment with the client, adapting to their specific needs. Each client brings their own “stuff” and interpretations of what is happening to them. A one shoe fits all approach simply does not work in coaching. Be the best coach for your clients. Have you ever wondered why some people may like a particular flavor and others don’t? Did you know that the make up of our taste buds is the same and that the flavor is the same for all of us? The difference is how we encode that flavor or food type in our brain. That also rings true for how we encode the world and our experiences. You see the world is not outside there with us living in it. The world is actually in us and how we encode it is how we react to it on the outside. We talk more about that during your life coach training. The point is that as a coach, you need to be able to understand your client. Their model of the world. What do “THEY” mean when they say something? How to motivate them? How to find their most important values and what their goals are? Not what somebody else thinks they should do or be. Those are only some of the skills that you will learn during your life coaching course. 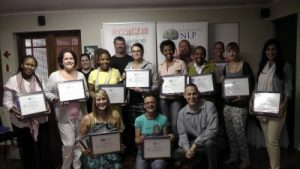 On successful completion of this coach training you will receive 3 internationally recognized certificates in NLP, coaching and Time Line Therapy(TM). As you would imagine, listening is very important, but there is so much more to being a great life coach than just listening. You will also learn that there is much more to coaching than just using using a simple “coaching model” to coach. Often there are things in the clients past which need to be cleared up first. These include limiting beliefs, doubts, negative emotions etc. You will learn how to help your clients to overcome those issues easily. The life coaching courses includes the NLP practitioner training. Incorporating the skills and techniques of NLP, coaching and Time Line Therapy®. During the coach training you are going to learn many new skills including the following and more. • How to set goals and install them in your future. • A number of Time Management check lists. • What to let go of. • Utilizing anchors to create desired state at any time. • And so much more to mention here. Wheel of life and additional questions. Learning, behaviour and change is unconscious. Finding the root cause of problems. Letting go of negative emotions. How to get rid of anxiety in under a minute. How to get rid of debilitating phobias. Setting and installing goals in your future. Marketing you business and finding clients. Contact us today to book your place at the next available life coaching courses near you. We look forward to meeting you at one of the next life coaching courses and helping you on your journey to becoming the best life coach you can be.